Master EMEA distributor, Amber International has announced it will now be providing Extra Vegetables’ new 2-way Sonos integration module for URC Total Control. Sonos is an extremely popular system amongst consumers and installers alike, not only providing a flexible way to distribute music around a property, but also benefiting from being easy to install and upgrade. Additionally, Sonos offers support for most popular music streaming services including: Spotify, Napster, last.fm, Deezer, MOG and TuneIn. “URC Total Control dealers have been asking for Sonos integration for a while now,” says Cees van Wendel de Joode, sales manager for Amber International. 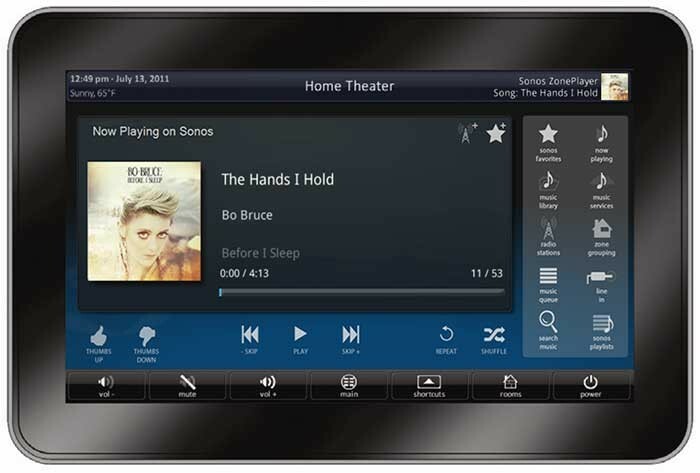 “Sonos is a highly flexible solution with fantastic support for music streaming services. The opportunity offered to customers by the Extra Vegetables module, creates a completely integrated solution which brings their favourite music services perfectly in-line with their favourite control system.